Our 11:00am time slot has completely filled up! If you still want perform, we’re adding a 9:30am time slot as well. 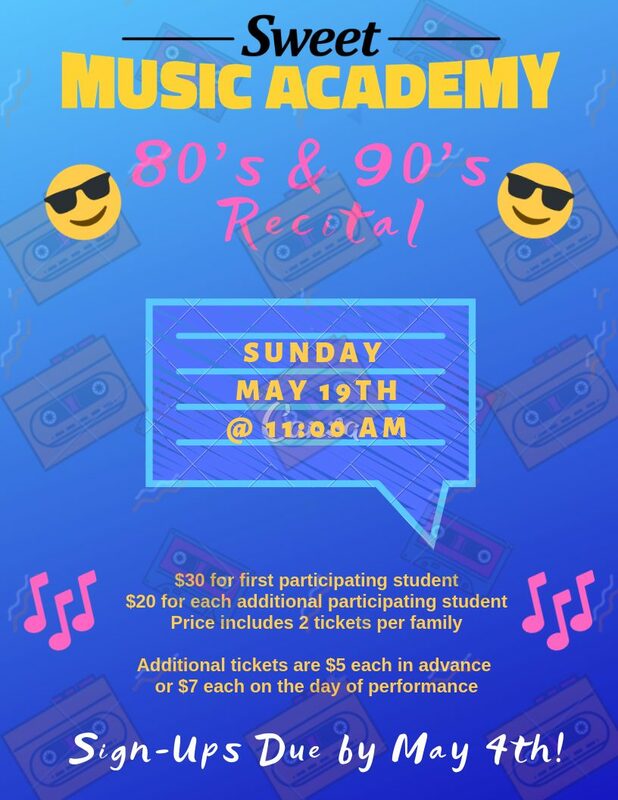 Thank you to all our student who are participating in the 80s & 90s recital!